We know just how important it is to know well our coast and the conditions that best fit each spot and different surfing abilities. 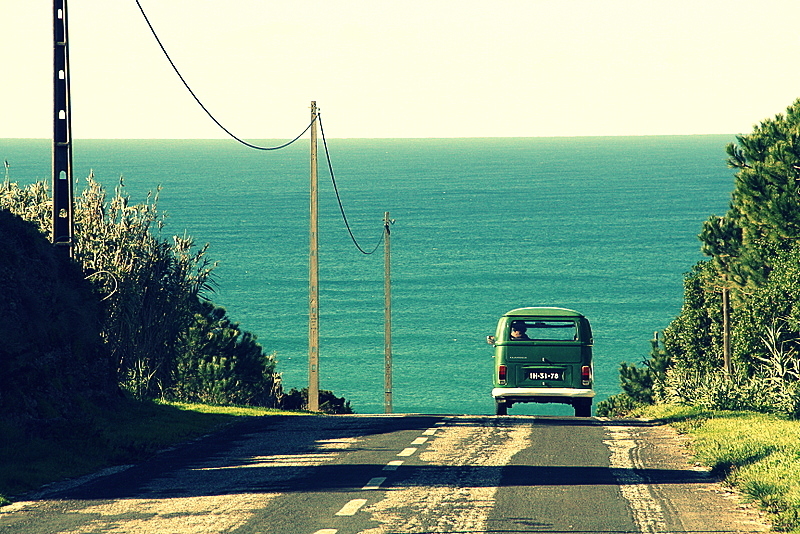 We also know the pleasure of travelling along our coast in this van looking for the right wave for us. We offer a surf guide service, taking you to the best places to surf every day according to your level and surf preferences. Our knowledge and experience of the Portuguese coast is going to help you make the most of your stay with the principle objective of finding the best quality surf. Among the countless options that exist from São Lourenço to São Julião, passing through Ribeira d’Ilhas, we’ll take you in our van to the best spot of the day to surf in what is considered to be the World Surf Reserve. It includes a typical snack after surfing. Vintage Tours isn’t a surf school. Surf tours is a service of transportation and information about surf conditions. we don’t give surf lessons and we don’t rent surf equipment. it’s your own decision and responsability to surf or not. Leaving from Ericeira and following the West Coast, we point out the good options for those who like to surf where it’s less crowded or intend to get to know our coast a little more. Our knowledge of the unique characteristics of the area will be useful to find the ideal spot for surfing. After surfing, there’s a relaxing snack. An itinerary where surf and all the grandeur of the unique landscapes of the Sintra–Cascais National Park meet, creating conditions for unforgettable surfing sessions. Leaving from Ericeira, we travel along the best beaches in the area, like Praia das Maçãs, Praia Grande or Guincho. After surfing, get your strength back with specialities of the region. We offer a unique mode of transport in our VW “loaf of bread” and make available our knowledge of the waves in the most cosmopolitan region of Portugal, the Cascais line, in a trip full of soul.